The new trailer for the war drama "Lone Survivor" has been released, adding more action and some quotes from film critics Bill Simmons, Pete Hammond and Peter Travers. Simmons goes as far as to call the film "the most extraordinary war film since 'Saving Private Ryan'". That's a daring statement right there. I sure hope it's not gratuitous buzz. The film is directed by Peter Berg ("The Kingdom") and it stars Mark Wahlberg, Taylor Kitsch, Ben Foster, Emile Hirsch and Eric Bana. 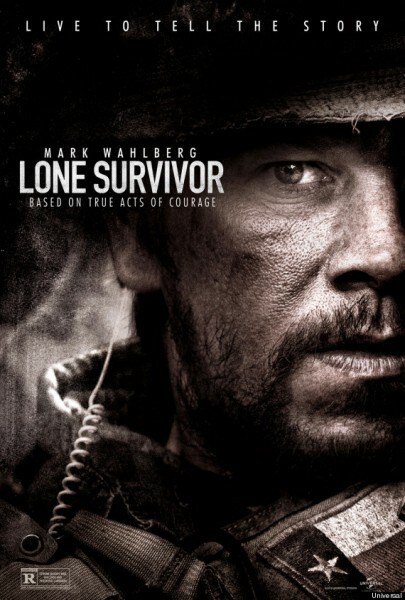 "Lone Survivor" will get a limited release on December 27th, and will expand on January 10th. Watch the new trailer after the jump. "LONE SURVIVOR, starring Mark Wahlberg, tells the story of four Navy SEALs on an ill-fated covert mission to neutralize a high-level Taliban operative who are ambushed by enemy forces in the Hindu Kush region of Afghanistan. Based on The New York Times bestseller, this story of heroism, courage and survival directed by Peter Berg (Friday Night Lights) also stars Taylor Kitsch, Emile Hirsch, Ben Foster and Eric Bana. LONE SURVIVOR will be released by Universal Pictures in platform engagements on Friday, December 27, 2013, and will go wide on Friday, January 10, 2014."